An immediate piece of good news this New Year 2017 was the announcement by the Government that it has given the green light to 14 new ‘garden villages’, in addition to seven previously approved. Each development will provide between 1,500 and 10,000 new dwellings. With some new larger ‘garden towns’ and the other seven villages; it is anticipated that up to 200,000 new homes will be provided. Obviously, that is great news, although it must be seen in the context of that still being at least 50,000 dwellings short of what’s apparently needed per annum, every annum. These cities for dreamers were designed to consist of proportionate areas of dwellings, factories, agriculture and open spaces; surrounded by green belts. Once they reached capacity, new cities would be built adjacent to create a series of hubs on radiating spokes. They were intended to be broadly self-sufficient economically, socially and culturally. And this is where the new garden villages have been subject to a degree of spin by the Government (which, like any government, finds it difficult not to overclaim any achievements). 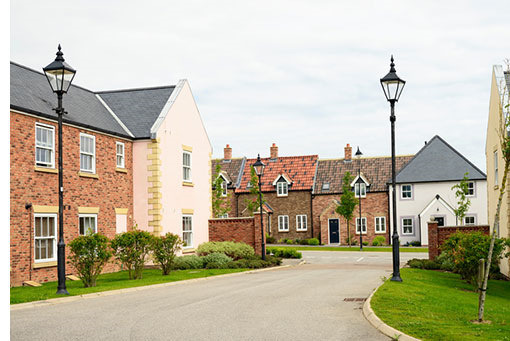 The new garden villages should not be thought as having the same ethos as garden cities despite the claim that they are intended to be self-contained, distinct new places with their own communities; and not just extensions of existing urban areas. It’s not about scale: just that the new villages appear to fall short of those aspirations. The garden city concept was to create relatively economically independent places with short commute times while preserving the countryside; and it would seem a stretch that these new villages will deliver that. Take one for example: Bailrigg. This is sited on a blustery ridge south of Lancaster and will effectively be appended to that great Arndale of Learning, Lancaster University. It plainly will not be a distinct place – Lancaster Uni will dominate it – and it will no doubt become a dormitory satellite of the place, either for teaching, administration and ancillary staff or students. As for offering its own facilities, there is already a supermarket 1.6 miles away and pubs, primary schools, post offices etc no further north or south than that, in Hala and Galgate. Of course, the new housing is welcome – we would never seek to gainsay that – but less of the ‘village’ please. Instead, we will actually see something more akin to ‘garden suburbs’. These exist on the outskirts of larger developments – even if at some distance – and do not feature places of significant employment; relying on transport links to get their resident commuters to their workplaces. Again: no bad thing, yet let’s not overdo the community aspect. But even then, the advent of these ‘villages’ – villagey or not – is a positive and not to be scoffed at. If, as some observers of 2016 have suggested, we are in a period of ‘creative destruction’; where institutions, establishments, elites and shibboleths fall in order that fresh ways of thinking and doing may emerge: then a retrospective, creative approach to town planning – as these garden villages still represent – is even more welcome than it might have been otherwise. All we need now is another 21, per annum, every annum!